Those who want to visit Malaysia will find that a trip to Langkawi is essential. 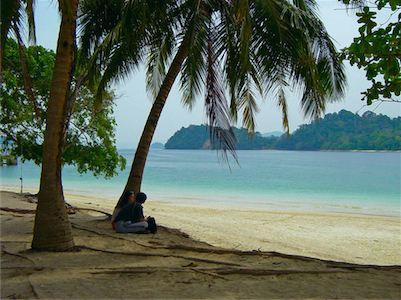 This is a series of islands of which Pulau Langkawi is the main one. The island is known for its beaches and there are plenty of holiday resorts which are suitable for families. Water sports are a popular pastime and there is a very lively nightlife. Getting around is made so much easier with car rental and it is so easy to arrange before you arrive at Langkawi airport. A must for those who are staying at Langkawi is Kuah Town. This is the main town of the island and the first choice for those who want to go shopping. There are often festivals held here and families will love the theme parks and lakeside attractions. Those who are interested in nature can pay a visit to the Langkawi Bird Paradise. The natural features of the island are the most popular and car hire is a must for seeing attractions such as Telaga Tujuh Waterfall. This is also known as the Seven Wells, due to the seven natural pools which occur along the path of the waterfall. Swimming in the pools is a great way to relax and plenty of people come to the area for the trekking. For a touch of excitement the children might want to visit the Langkawi Crocodile Farm. This covers an area of around 20 acres and is one of the island’s top attractions. There are baby crocodiles and visitors can watch the croc-wrestling and see the creatures being fed. For something a little more traditional in the way of fun there is the Underwater World aquarium. This has a wide variety of sea creatures and is one of the largest in this part of the world. The aquarium has shops and cafes and is a great day out for the whole family. The Oriental Village has been constructed around a beautiful lake and there are many Asian features to the village. The dining options are based on Asian menus and there are plenty of Asian games. There is a snake charmer and artists and visitors are able to ride elephants. There is a cable car ride up to the mountain from here which offers great views. Langkawi car rental is a great way to explore and perfect for those who prefer not to rely on public transport. There are many options available to you and those who want to explore the island fully will find that they can save both time and money this way. The best way to discover Langkawi Airport is by renting a car. Renting a car is easy and affordable way of transportation. With your rent a car you can explore the beautiful surroundings of Langkawi Airport. Rentalcargroup.com works with numerous rent a car companies in Langkawi Airport. Parking your rental car in Langkawi Airport can best be done in a garage. Its safer for you and your rental car. There might be the possibility to park your rental car in the outskirts of Langkawi Airport and move around by public transportation which is not too expensive and will compensate for the parking fee you will need to pay if parking in the city center. Take in mind that many big cities have a city center only accessible for locals or delivery purposes. Last month, the average car rental length at Langkawi Airport was 3 days. The average rental car length at Langkawi Airport is 3 days. The most booked rental car type currently at Langkawi Airport is ECONOMY cars. Last year, the most booked rental car type at Langkawi Airport were COMPACT cars. How much does it cost to rent a car at Langkawi Airport? Last month, the average car rental price was 110 USD. Last year, how much did it cost to rent a car at Langkawi Airport? Last year, the average car rental price was 83 USD. What is the current average daily price to rent a at Langkawi Airport? Last month, the average rental price was 39 USD per day. How much did it cost to rent a car at Langkawi Airport over the past 12 months? Last Year, the average rental price was 24 USD per day. The car rental companies available at Langkawi Airport are: . See below last 5 customer reviews. Our customers rated Langkawi Car Rental with an average of 8.00 based on 1 ratings. Good experience with the rental. the car was delivered to our hotel, tough there was a delay of 45 minutes. beside, everything was very easy and comfortable. the car was okay, and the rendition was super easy, we just left the car in the parking lot of the airport. thank you!